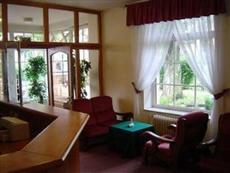 The Hotel Prima is perfectly located for both business and leisure guests to Karlovy Vary. The Hotel Prima boasts a convenient location with modern amenities in every guestroom and superb service. Room amenities include non smoking rooms, daily newspaper, television, shower. Guests staying at this Karlovy Vary accommodation can enjoy a wide range of hotel facilities such as bar/pub, meeting facilities , restaurant, tours, business center, pets allowed. The hotel provides a warm and welcoming service of international standard. To book a room easily at the Hotel Prima, please submit your travel dates and proceed with our secure online booking form.